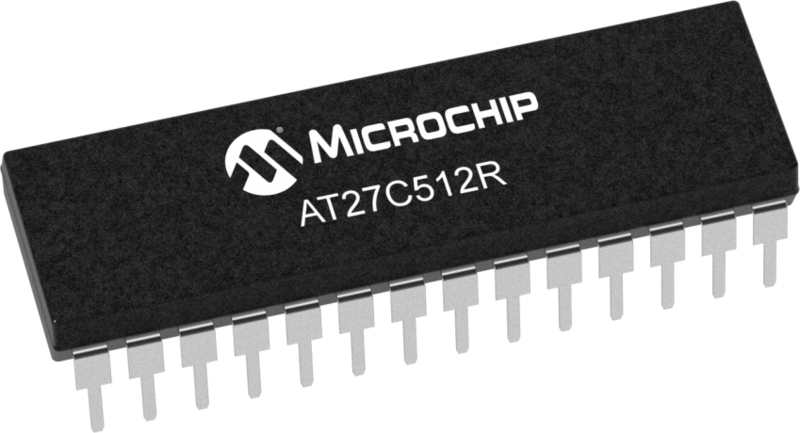 The Microchip AT27C512R is a low-power, high-performance 512-Kbit One Time Programmable EPROM organized as 64-Kbit x 8. Requiring a single 5V power supply, in normal read mode operation typical power consumption is only 8 mA in active mode and less than 10 μA in standby mode. Any byte can be accessed in less than 45 ns, eliminating the need for speed reducing WAIT states on high-performance microprocessor systems.